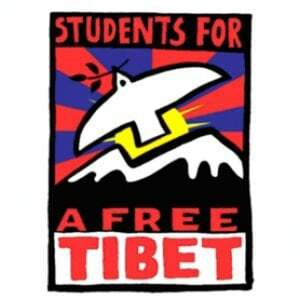 I understand there have been some questions around the origins of Students for a Free Tibet (SFT). As one of the founders of the organization and the first Executive Director, I would like to clarify how SFT came to be. SFT began in 1994 as a project of the US Tibet Committee (USTC) and the International Campaign for Tibet (ICT). The initial planning took place in New York and Washington, D.C. and the aim was to engage students in the Tibetan struggle. The people who helped create SFT were a mix of Tibetans (mostly USTC board members like Sonam Wangdu,Sonam Zoksang, Losang Gyatso, and a handful of others) and non-Tibetans (like Heidi Melz, who was working at Tibet Fund, USTC board members, like Peter Brown and Eleanora Tevis, and ICT staff, like John Ackerly and Lesley Friedell Rich). Others from outside USTC and ICT followed the creation of SFT with interest, and it wasn't too long before some influential people from the global movement got involved, especiallyThubten Samdup from the Canada Tibet Committee. I was hired by USTC and ICT to help flesh out the concept and turn it into a reality. It was only supposed to be a three month project for me, but I was so impressed with the Tibetans I met - especially Sonam and Chuki Wangdu, but also many others - that I soon started to think differently about it. By the end of the first year, it was clear that SFT had the potential to really matter for Tibetans in exile and even in Tibet, and it started to feel more like an honor for me to have stumbled into something that could play an important part of history than a temporary diversion from my marine biology career. SFT was always intended as a way to raise awareness about the Tibetan freedom struggle and to increase the power of the movement. There were only a small number of Tibetan students in the US at that time, but we aggressively recruited them to participate. It was never meant to be an organization only for non-Tibetans or “injis” - Tibetans were always seen as leaders within SFT. I remember sitting around folding tables downstairs at the (old) Office of Tibet on East 32nd St, discussing what we should call this new project. (It was begun as a joint project of USTC and ICT, and wouldn't become an independent organization until a few years later.) Gyatso literally designed the logo on a napkin at one of those meetings, probably stained with tea. It was a conscious decision to name it Students for a FREE Tibet as opposed to simply Students for Tibet, or something similar, because the intention from the very beginning was that SFT's purpose was political and not merely cultural. When I returned to SFT as Executive Director in 1998 after taking a couple years to study grassroots organizing, I hired two dynamic young Tibetans, Thupten Tsering &Lhadon Tethong help lead the organization. Right from the beginning, when there were few Tibetans living in North America, we prioritized recruiting and training young Tibetans because they are the natural leaders and future of this movement. Who more than Tibetans have the passion and dedication needed to inspire student activists to join a grassroots movement for Tibetan freedom? For countless American, Canadian, European and other students and youth around the world who have joined SFT, it is SFT’s Tibetan members and leaders who help non-Tibetans feel they aren’t just fighting for a vague idea of freedom for a people who live on the other side of the world, they are fighting for people they know – their friends and peers studying and working alongside them every single day. This potent combination of Tibetan and non-Tibetan youth is the essence of SFT. It creates an infectious feeling that anything is possible and inspires countless young people from around the world to commit their time and energy (when there are so many important issues and causes competing for their attention) to fighting for Tibet. And this is true not just for SFT, but for all organizations working for Tibet. The Tibetans I first met in New York in 1994 inspired me to deepen my commitment to the struggle, and later SFT’s Tibetan members helped keep me inspired to the point that I have made this a lifelong commitment. (I just completed a 2-year term on SFT’s board and continue to contribute money and time.) The same is true for many supporters around the world. It is often the Tibetan members and leaders of these organizations - whether Canada Tibet Committee, International Campaign for Tibet, Australia Tibet Council and many others that I can’t begin to list here - that help recruit new supporters with their personal stories and passion and keep them motivated in spite of the uphill battle we are all fighting. I believe that Tibetans united could regain their nation on their own, but the urgent and perilous nature of life for Tibetans living under Chinese rule requires us to do what we can to move quickly. As we have seen with other struggles, especially the fight for civil rights in the United States, an oppressed people can get where they are going sooner if other people of conscience are willing to march with them, shoulder to shoulder. This means it is essential for Tibetans to be actively involved with and playing leadership roles in Tibet support groups and the global grassroots movement at large, and not just in the Tibetan Government in Exile, Tibetan NGOs and community organizations. My proudest moment with SFT was when I resigned, and Lhadon took over. From the early days, we emphasized training and leadership development, giving tools to young people who we knew would help shape the world. As the years passed, I have been proud of how SFT has grown and how effectively the organization has helped to keep the fight for Tibetan freedom alive and challenged China’s occupation of Tibet. I have also been thrilled to see SFT’s Tibetan membership continue to grow. From the very beginning, we saw SFT as a way to empower young Tibetans to become leaders of their own movement. There is no doubt that SFT’s success is in great part due to the magic that is created when Tibetan and non-Tibetan students and youth work together to keep the international spotlight on Tibet and the pressure on China and world governments. I continue to believe that the Tibetan struggle will be successful one day and that SFT has an important role to play. SFT today remains true to our founding vision, but with an international capacity and a depth of Tibetan leadership we could have only dreamed of in 1994. It is exciting thinking about what they will be able to accomplish together with the rest of the movement to reclaim Tibet! John Hocevar is Oceans Campaign Director at Greenpeace USA and the founding Executive Director of Students for a Free Tibet.